The Valletta 2018 Foundation will be spicing up Notte Bianca with a series of innovative projects being held across Valletta, from the Porte des Bombes in Floriana to Castille Place, where l-Ikla t-Tajba will be held, and Casino Maltese – the venue for Band on the Run performances. Addressing a press conference near Porte des Bombes today, Valletta 2018 Foundation Chairman Jason Micallef said: “Works on the contemporary installation by Chris Briffa Architects PROSPETTIVA are nearing completion and this can be enjoyed by visitors during Notte Bianca”. For the first time in decades, people will have access to the overpass of Porte des Bombes in Floriana where a DJ will be performing live music. The gate in the Floriana Lines formed the outer defensive walls of Valletta. The final stage of l-Ikla t-Tajba, a project which enabled 20 youths and adults to learn the art of local cookery, will be held at Castille Place. 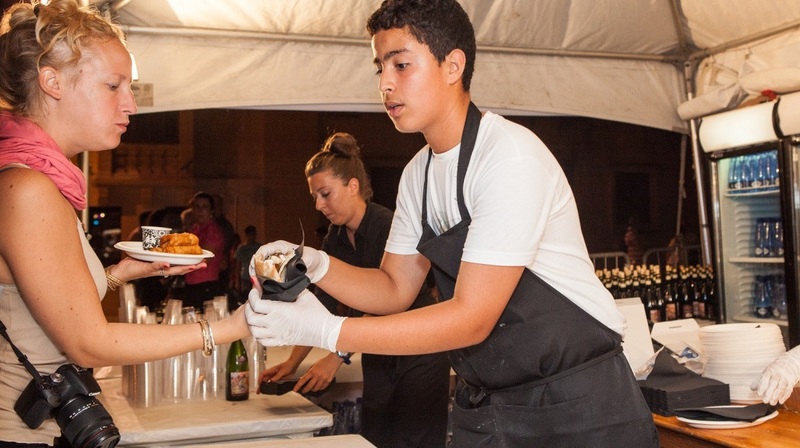 Assisted by a team of professional chefs, participants will be sharing their culinary talents with the public by serving eight street food dishes using some of the island’s most cherished produce – lampuki, pork, rabbit, ġbejna, pomegranate, potatoes, betroot, bigilla, tomatoes, tuna, honey and grapes. Band on the Run, which brings together 70 members from band clubs in Malta and Gozo, will be performing at Casino Maltese between 7.30pm and 10.30pm. Band on the Run is a joint project between the Valletta 2018 Foundation and Għaqda Każini tal-Banda with the aim of fusing Maltese identity with European influences through music. The Palace courtyard will come to life with performances by three local theatre groups who have been inspired by the Valletta 2018 Foundation’s Qatt Ma Ninsa. This project which explores collective memory was held in June at the Malta Maritime Museum. Just outside The Palace at Pjazza San Ġorġ, patrons can experience AMaze2 – a large cube where science and art are fused. Amaze2 is the link between Science in the City, held last weekend, and Notte Bianca. It houses a number of interactive exhibits explaining different scientific phenomena such as the weather, the Big Bang, the forces that govern our Universe, the human body and renewable energy.